04 | April | 2012 | E-verything! The “techie” part of writing a blog post is very like word processing. Just like MSWord or other word processing programs there are a series of buttons at the top of your page for you to use in making your text look how you want it to look. If you already use MSWord then some of these will be easy for you. This will open a window with a title space and a box for you to type into. This is your new post – see below for how to make sure that the settings are right for you to type. You can write your blog post directly in the page and change the font and other settings to suit you in the same way as when you are using a word processing program like MSWord. The buttons on the toolbar will allow you to make your posts “user friendly”, by formatting your text with headings, colours etc and adding links, pictures and other media. Many of the buttons will be easy for you if you already use word processing. If you are not sure “hover” (mover your mouse pointer over) over a button to find out what it does. 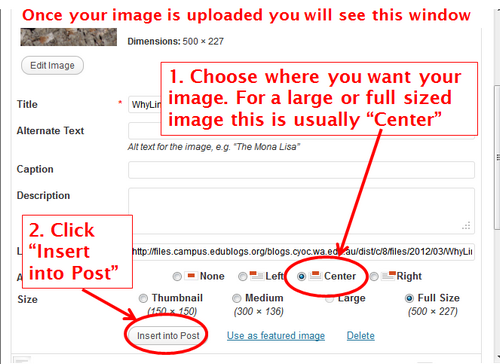 There are some buttons that are used to do particular things that are related to blogging. 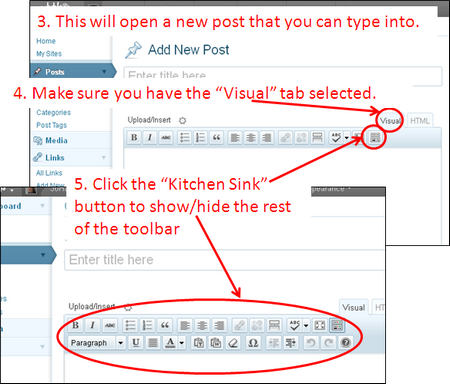 You will learn how to use these buttons as you start writing your own blog posts. Once you start to write your post it is important that you save it often just as you would with a word processed document. You can also check out how it will look when published by previewing the post – this will open a new tab/window with your post as it will look on the blog. 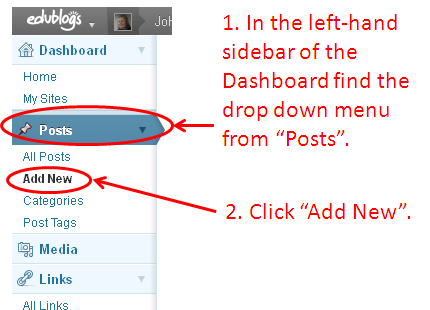 Saving, previewing and publishing are done using the “Publish” panel in the right hand sidebar of the dashboard. 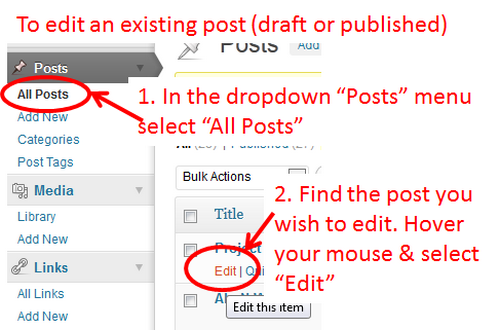 Further editing of a draft or published post is done using the Posts” menu in the left hand sidebar. 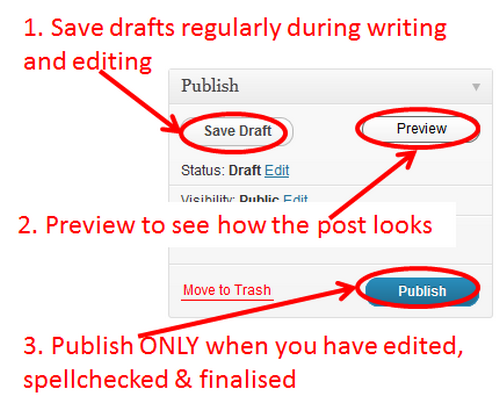 Once you have finished editing then you can preview the post again, or with an already published post use the “Update” button – this replaces the “Publish” button once a post is published. There are a few other items you will come across as you learn more about blog posts – but that really covers the essential “techie bit”. Writing well and making your posts look and read well is the next step! As usual we ask you to add a comment to this post. Look at the layout (how the text and images are placed on the page, the colours and the sizes). Does this work for you? What do you like about the layout and why? What do you dislike about the layout and why?